General Motors Co. awarded a $2 billion contract for information technology to Hewlett-Packard. Under terms of the agreement, HP will manage the automaker's technology infrastructure and provide network, workplace, mainframe management, applications and systems integration services for GM's global operations, including manufacturing plants and OnStar. The new pact covers a significant portion of HP's existing work with GM. It also renews the contract one year early and extends the two companies' 25-year relationship. 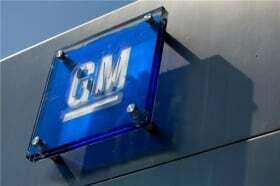 In the past, most of GM's technology support was handled by its former subsidiary, Electronic Data Services. EDS was spun-off by GM in 1996 and purchased by Hewlett-Packard in 2008 for $13.9 billion. “The automotive industry is in the midst of a transformation and GM's technology infrastructure needs to be hitting on all cylinders to take full advantage of the potential market opportunities,” Tom Iannotti, HP's senior vice president and general manager, said in a statement. In addition to providing technology in GM vehicles, HP will also provide applications for several of the automaker's business functions, including data and financial management.